Gais, S., Lucas, B., & Born, J. (2006). Sleep after learning aids memory recall.Learning & Memory, 13(3), 259-262. Sleep as a strategy for learning goes beyond retention of information when studying for an exam. Sleep researchers also link sleep to the maintenance and storage of long-term memory. That is, a good nights sleep allows for much of the information gained during the day to be processed.One possible explanation that I found in Santrock and Mitterer (2005) describes the function to occur in the cerebral cortex. During sleep, the brain does not have to be aware and busy with incoming information. Instead, the rest period allows for the processing of information and storage into long-term memory. This process happens during REM sleep. Amal described the process relative to information reviewed before and immediately after a good nights sleep. Unfortunately, according to Maas (1998), 50% of the American population is sleep deprived. Imagine, the missed opportunities for learning due to this experience. For the adult learner, consideration of the implication of their sleep hygiene on their performance as a student should be a priority. sleep and memory is very interesting. As you have stated the lack of sleep does affect our memories especially short term memories. A question I ask is if this is so, then how do soldiers on combat missions, as an example, accomplish thier mission and in the face of a very rapidly changing environment. They make split second decissions that affect lives while working on only very short peorids of sleep. Thier training tests thier ablitity to do so and in specialized units like the Navy Seals and Rangers, sleep deprivaiton is used to break them and get rejected from the unit. “Ranger students conduct about 20 hours of training per day, while consuming two or fewer meals daily totaling about 2,200 calories (9,200 kJ), with an average of 3.5 hours of sleep a day.” (Wikipedia) The purpose is to create strees and measure how they perform before they go into combat. I think people can learn to function with less sleep and perform at acceptable levels. Might be interesting to follow up on. I completely agree with the points discussed in this blog post. I too find that I am most successful on exams when I complete my study before bed, get a good night’s sleep, and then review the information again in the morning before the exam. I am able to recall the information much better when I study this way. 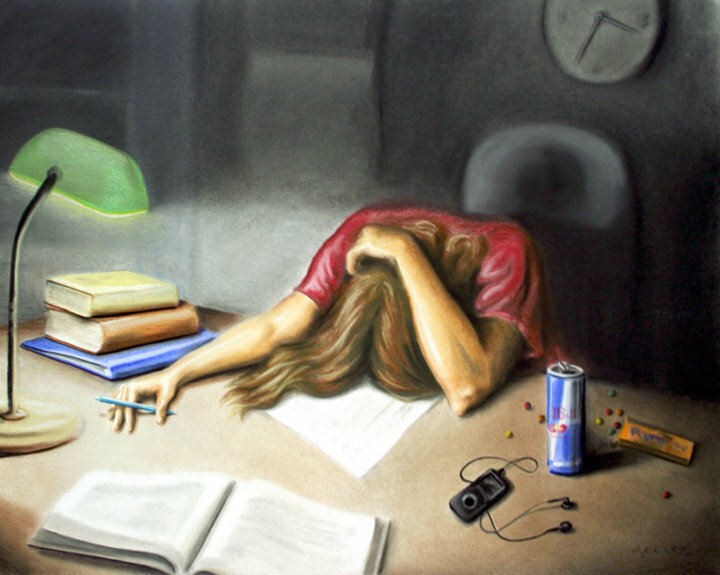 The times when I stayed up too late studying and did not get enough sleep, my grades were often lower than when I followed better study habits. I have some friends who procrastinate when it comes to study, and they always seem to stay up almost all night before an important examination. They tell me that they often have difficulty during the test to remember all of the information; one friend even fell asleep on their exam paper. It is better to go to bed at an earlier time and then do a brief review of the material in the morning, as the information will be fresh in your mind.